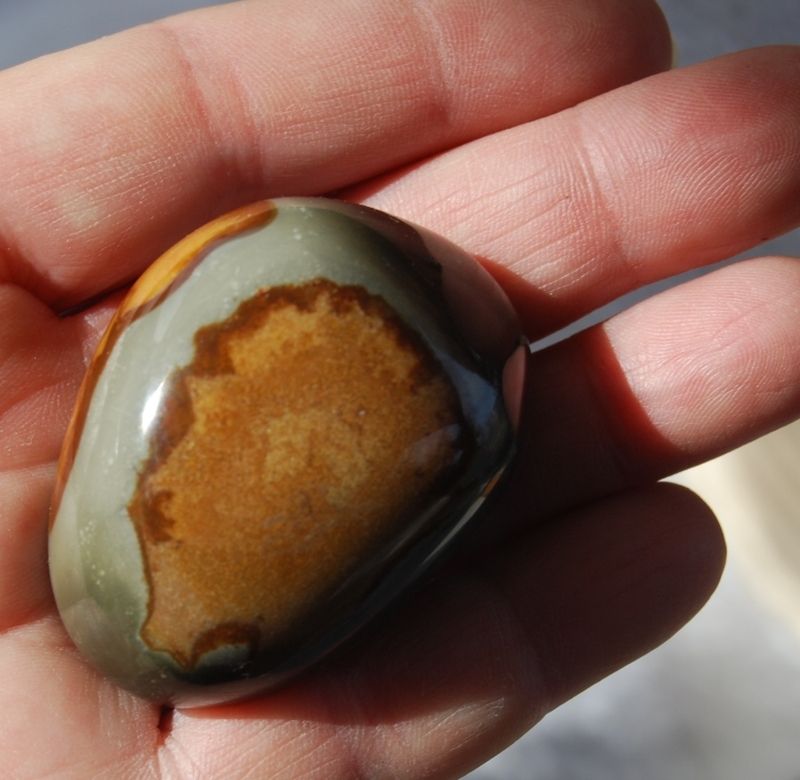 Like Ocean Jasper, this lovely, earthy stone is found only in Madagascar. Only recently discovered, this lovely Polychrome Jasper is named for its vibrant and bold colors. The natural shades of rich brown and the unusual blue green are another striking palette by Mother Nature. Multiple eyes enhance it even more! This specimen fits beautifully in the small palm for meditation. 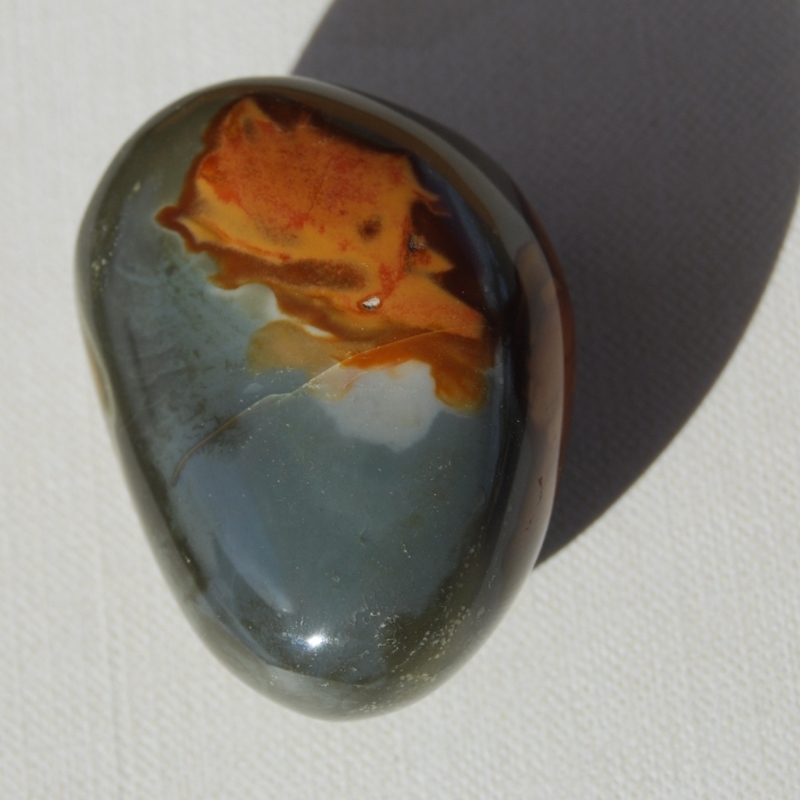 Metaphysically, jasper is known as the “supreme nurturer”. It is a great stone to have around during times of stress, it can help restore tranquility and a sense of wholeness. 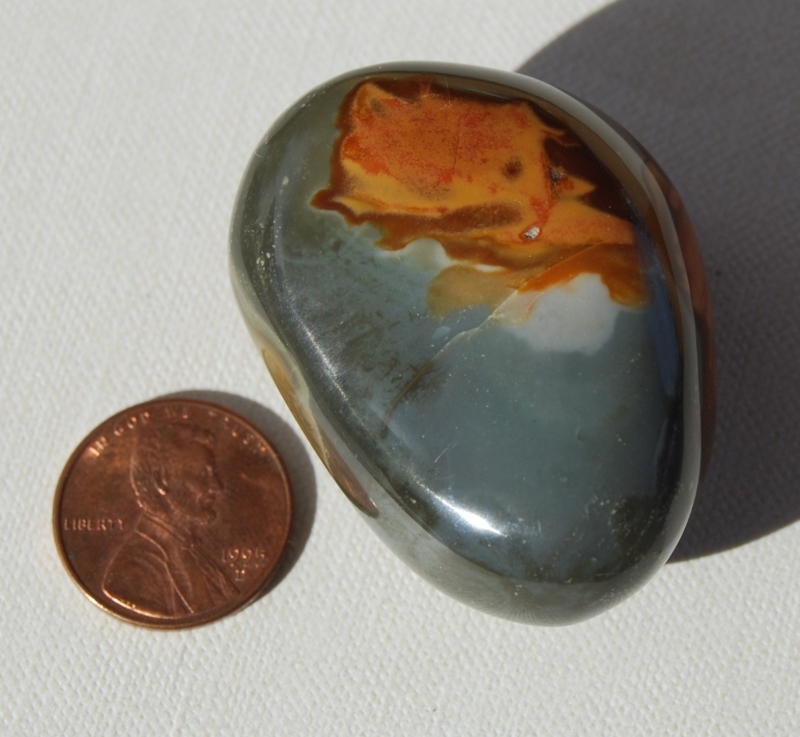 Jasper can be used to facilitate dreaming and dream recall. It can absorb negative energy and, as such, is a stone of protection. It can often help those who need more focus, organization abilities, and motivation to follow through; a stone of courage. Perfect for the creative and imaginative, it can help transform ideas into action.